Practitioners have debated the parameters of the economic substance doctrine for decades. A recent district court opinion in Wells Fargo & Co. v. United States, No. 09-CV-2764 (D. Minn. May 24, 2017), addressed and resolved one of the more interesting undecided questions regarding the relationship of the so-called objective and subjective prongs of the doctrine. The ruling rejected a Government argument for disallowance of interest expense deductions under the economic substance doctrine based solely upon a finding that the transaction was undertaken solely for tax-related purposes, notwithstanding a separate jury finding that the transaction had objective pre-tax profit potential. Since the 1980s, courts have generally made two inquiries in analyzing Service challenges of transactions based upon a lack of economic substance. The objective prong of the analysis considered whether a transaction had a real potential to produce an economic profit after consideration of transaction costs and without consideration of potential tax benefits. The subjective prong of the analysis considered whether the taxpayer had a non-tax business purpose for the transaction. Practitioners, the Service, and the courts have long debated the relationship between the two prongs of the economic substance doctrine. Some argued for application of the prongs disjunctively; a transaction would pass muster if it satisfied either the subjective or the objective prong. Others argued for application of the prongs conjunctively; a transaction would survive scrutiny only if it satisfied both the objective and the subjective prongs. When Congress codified the economic substance doctrine in 2010, it adopted a conjunctive formulation—denying tax benefits to a transaction if it failed to satisfy either prong. With this background, the court turned to the question of whether a transaction with objective profit potential will fail the economic substance doctrine if the taxpayer undertook the transaction solely for tax purposes. The Wells Fargo court concluded that interest deductions from the loan transaction passed muster under the economic substance doctrine notwithstanding the jury’s finding that Wells Fargo entered into the transaction solely for tax reasons, adopting what it described as a flexible approach in applying the economic substance doctrine. It distinguished between examination of the taxpayer’s “actual subjective motivation” and examination of what a reasonable taxpayer’s purpose would be in view of the objective features of the transaction—employing the latter approach in its analysis. Refusing to be influenced by evidence concerning the taxpayer’s actual motivation, the court observed that it would be an “absurd result” if two identical transactions were treated differently for tax purposes based solely on the subjective motivations of the participating taxpayers. Similarly, the court was not persuaded by the government’s characterization of the transaction as a “sham” and its argument that the transaction was the type of economically unproductive activity which should be discouraged. The Wells Fargo decision leads this blogger to several observations. First, the ruling appears to be correct; the tax law ought to be based upon the objective facts concerning a taxpayer’s transactions, not a nebulous effort to determine the taxpayer’s “real” motives. Second, the ruling suggests largely eliminating the subjective prong of the economic substance doctrine; an examination of the taxpayer’s purpose is superfluous if it is based upon determination of what a reasonable taxpayer’s purposes would be under the objective facts. Third, the subjective prong of the statutory economic substance doctrine is susceptible to a similar approach; the statutory language does not explicitly mandate an examination of factual evidence concerning the taxpayer’s “real” motives and courts might reasonably focus upon evaluation of a reasonable taxpayer’s purposes under the objective facts. Fourth, one would expect relatively little change in the results of cases applying the economic substance doctrine; very few (if any) cases have ever been decided based upon judicial or jury findings that only one prong of the economic substance doctrine had been satisfied and the Wells Fargo decision does not encourage future courts to make comparable findings. Finally, the ruling may signal the death knell for several lines of cases employing a separate “business purpose” rule. Employing the rule, the Service has, in several different contexts, challenged transactions under an amorphous business purpose rule which disallowed tax benefits from transactions which lacked a sufficient non-tax business purpose. However, the Government has almost never prevailed solely under the business purpose rule in cases where an economic substance challenge would not have resulted in a comparable conclusion. Perhaps, it is time to finally jettison allusions to the existence of a separate business purpose rule and to focus analysis where it belongs—the objective prospect of a pre-tax economic profit. Today we welcome back guest blogger Stuart Bassin, principal at the Bassin Law Firm. Stu is a former Department of Justice Tax litigator with a deep and varied experience in tax litigation. 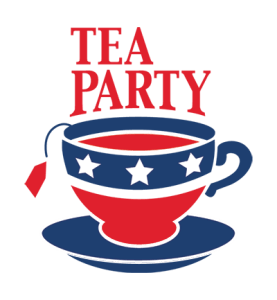 In this post he discusses last week’s Sixth Circuit’s rebuke of the government’s position in the NorCal Tea Party Patriots case. Last week, the Sixth Circuit rejected a government mandamus petition seeking to overturn a trial court discovery order requiring the Service to disclose the names of non-party organizations whose applications for tax exempt status were allegedly treated improperly because of the organization’s political views. In re United States; United States v. NorCal Tea Party Patriots, Case No. 15-3793 (March 22, 2016). The underlying case arose out of allegations that the Service discriminated against conservative organizations in reviewing applications for tax-exempt status. According to the plaintiffs, the Service gave increased scrutiny to some organizations in reviewing their applications and, in some cases, requested additional and unnecessary information from the applicants to delay review of their applications. Substantively, the plaintiffs’ legal claims assert violations of the First Amendment and the Section 6103 prohibition against disclosure of taxpayer return information. Earlier this year, the trial court certified the case as a class action, a development I discussed in an earlier post in Procedurally Taxing. The dispute before the Court of Appeals involved a discovery order issued by the trial court requiring the Service to identify other taxpayers whose applications for exempt status received comparable scrutiny–information the taxpayers sought in hopes of identifying attentional class action plaintiffs. The Service resisted, contending that the disclosure was barred by Section 6103. The district court, expressing exasperation with the Service’s interference with the case’s development, ordered production of the information, ruling that disclosure was authorized under Section 6103(h)(4)(B) because the information was reflected in a return “directly related to the resolution of an issue” in litigation. The Government then filed its petition for writ of mandamus. The Court of Appeals ultimately affirmed the order allowing the discovery, taking several opportunities to criticize the Service’s actions and the Justice Department’s advocacy. The court rejected the trial court’s reading of Section 6103(h)(4)(B), but concluded that most of the requested information could be disclosed under Section 6104, which generally makes successful applications for tax exempt status, along with supporting information, open for public inspection. While Section 6104 would not authorize release of information relating to unsuccessful applications, the court concluded that disclosure was not prohibited under Section 6103. According to the court, an application for exempt status is not a “return” or “return information” and is therefore not protected from disclosure by Section 6103. 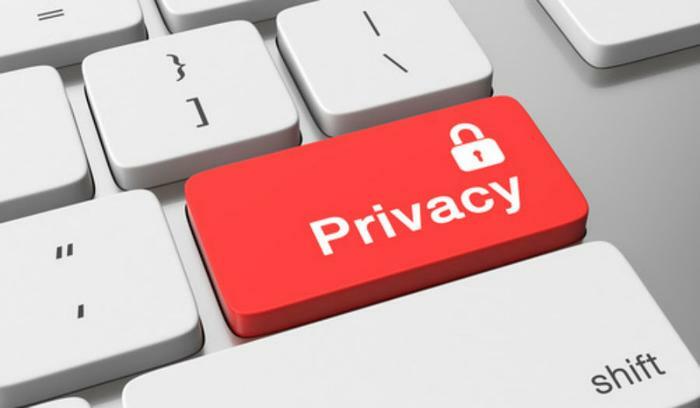 The ruling is noteworthy primarily because of its narrow reading of the terms “return” and “return information.” Practitioners often think that Section 6103 protects virtually anything submitted to the Service from disclosure. Here, the court narrowly construed the literal statutory language of Section 6103(b)(1), which defines “return” as “any tax or information return, declaration of estimated tax, or claim for refund,” concluding that an application for exempt status is outside the statutory definition. The question left unanswered by the opinion is what other types of submissions to the Service will not be treated as returns and return information protected by Section 6103. One issue which has yet to be addressed in the litigation is the interplay between the substance of the plaintiffs’ claims and the available legal remedies. The plaintiffs’ factual claims focus upon the Service’s internal processing of the plaintiffs’ applications for tax-exempt status and the Service’s communications with the plaintiffs. Yet, the legal basis for the claims being asserted by the plaintiffs is a wrongful disclosure of return information by the Service. How the taxpayers will argue that the Service’s internal actions amount to an improper disclosure remains to be seen. Nonetheless, the tone of the opinion should be of great concern to the Government. Both the appellate panel and the trial court have made clear their impatience with, and distaste for, the Government’s procedural challenges to the taxpayer’s claims. Every indication is that the courts are willing to rule against the Government if the taxpayers’ assertions of disparate treatment are proven at trial, although it will be interesting to see what remedy will be allowed. The Government can continue fighting, but that seems to be an uphill battle and a battle which may produce further precedent that the Service will not like.